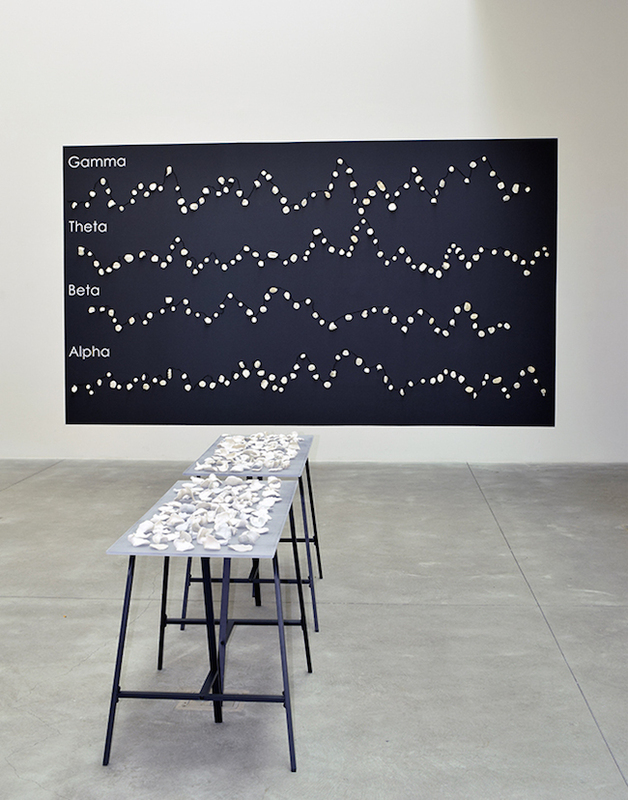 Holly Hanessian‘s latest exhibition, featuring the socially engaged project titled: Touch in Real Time, was recently featured by Cfile Daily Journal, a worldwide online Guide to Contemporary Ceramic Art, Design, Architecture + Technology. CFile Daily, a news and review journal edited by Garth Clark, receives over 720,000 visits a year (and growing) from readers in 189 countries. 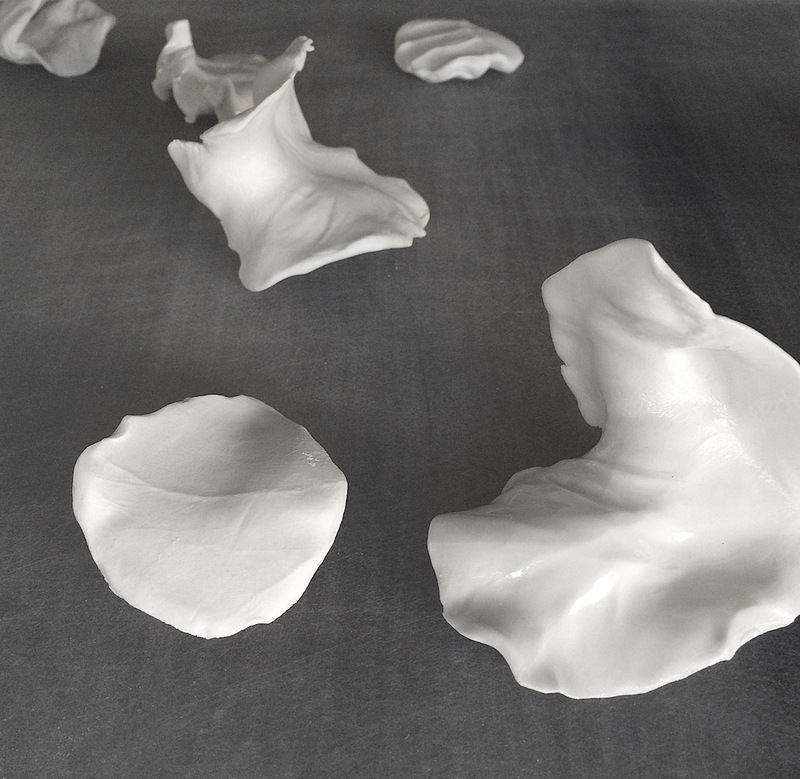 Only two years old, it’s already the most influential champion for avant-garde ceramics. BILOXI, Mississippi — Artist Holly Hanessian sits at the crossroads of two topics we’ve covered before on cfile.daily. The first is the tactile, socially conscious nature of projects like the handshake vessel. The second is an analysis of our digital-versus-“real” lives tackled by projects like the dinnerware set for Skype. In her Touch in Real Time exhibition at the Ohr-O’Keefe Museum of Art (Biloxi, March 12 — May 16), Hanessian creates forms by having intentional face-to-face interactions with people. These take the form of handshakes (an antiquated form of the “like” button on Facebook, if you’ll permit me to be a little Andy Rooney about it). She brings things back into the digital sphere by collecting data on the brain waves of people who do tactile things such as rolling clay between their hands. The solid clay forms and the intangible data they inspire are both used in the show. Between 2012-2015, Holly Hanessian crossed the country and either held hands with people or asked others to hold hands together. 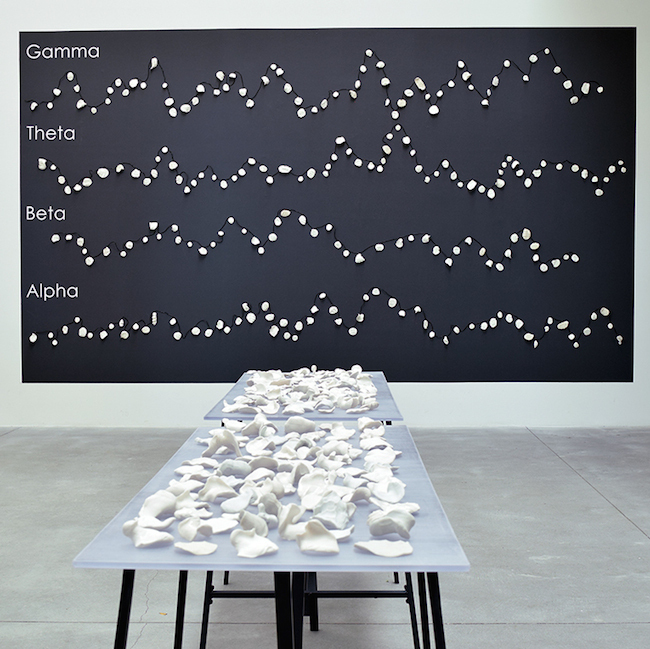 Over 2,000 porcelain artifacts of these moments were created and have now become part of a traveling art exhibition. Touch in Real Time is a socially engaged, participatory project that explores the intimate act of touch and its significance in a digitally mediated age. The project engages the participant in creating an awareness of our online and social habits. During the handshake event, the conversation is directed to our desire for social media and our decreasing face-to-face interactions. Hanessian anticipated that the act of touch could release the bonding hormone oxytocin into each of the participant’s blood streams by focusing on creating an intimate moment with another person through hand and eye contact. 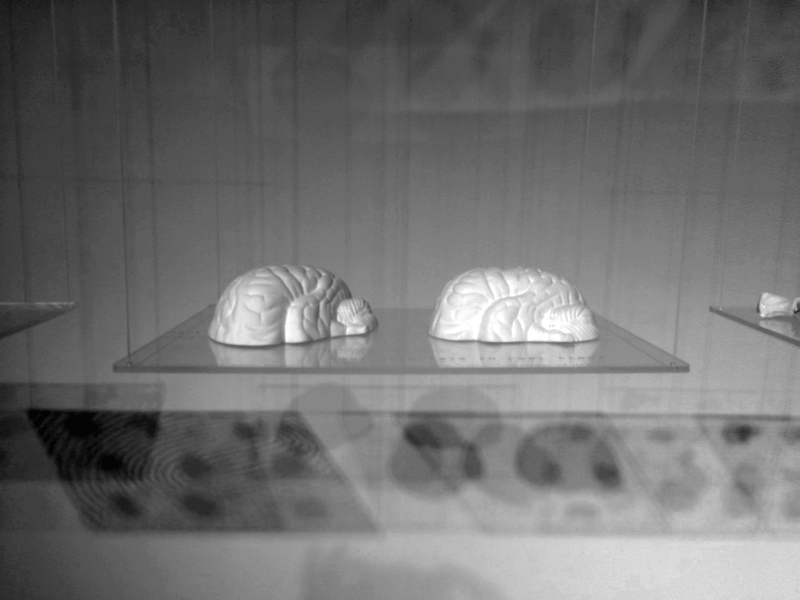 The artist then collaborated with a team of neuroscientists who collected a series of brain imaging data during her residency at the Program in Cognitive Affective Neuroscience at the University of Pittsburgh. Participants held clay in their hands while wearing an Electroencephalography (EEG) headset that generated data by measuring their brain waves. The patterns measured and signaled information, such as arousal, calmness and memory from the Gamma, Alpha, Theta and Beta brain waves. The visual information that recorded the EEG electrical activity was then incorporated into Hanessian’s exhibit as a wall installation using electrical wire with hundreds of the handshakes collected to emulate EEG brain waves. Holly Hanessian grew up in the 1970’s in the lush suburbs in South Florida, according to her biography. 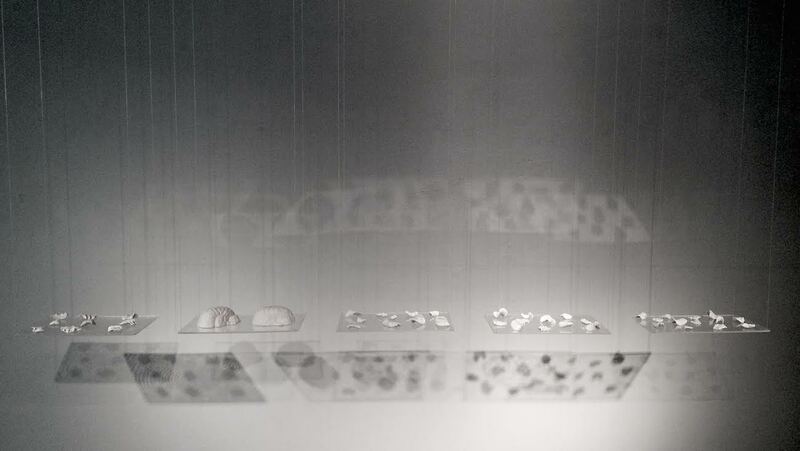 A child of two Armenian parents (who were fourth cousins), she creates work that explores the crossroads of our DNA and the environment, which is influenced by our daily experiences. Her artwork is a hybrid of design, craft and contemporary art, in various media including installations and artist’s books, both of which use text along with other narrative ideas. Holly is a professor of art and the area head of the ceramics program at Florida State University. 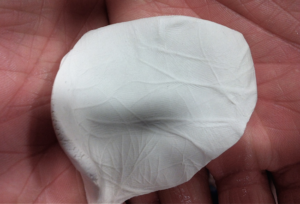 She recently created a new focus on 3D ceramic printing and a Ceramics + Digital Program. Her vision in educating students embraces a future where ceramic printing and traditional practices are combined with intellectual rigor. Text (edited) and images courtesy of the artist and the museum. Images from Holly Hanessian, Touch in Real Time, 2016 exhibition at Ohr-O’Keefe Museum.